The history of the Grimaldis goes back to its country roots in the Langhe, in Valle Talloria, at the beginning of the 19th century, when fields of wheat grew between the rows of vines and every farmhouse had, next to the winery, a barn in which were bred the prestigious Fassona Piemontese cattle. 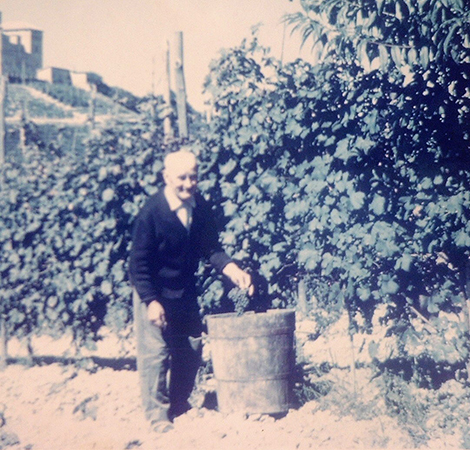 Grandfather Giuseppe cultivated excellent dolcetto grapes, the main variety of the Diano d’Alba area. After harvesting them he would load them on to a cart and take them to Aldolcetto market, where they would be purchased by the winemakers. 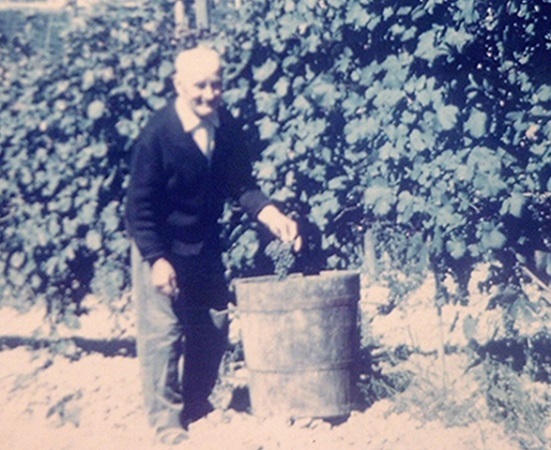 After the war, Giuseppe’s son, Carlo Grimaldi, began to bottle wine under the family name. Work began to modernise the farm and to rationalise the vineyards in order to emphasise the diversity of local varieties and to raise the quality of the wines produced. 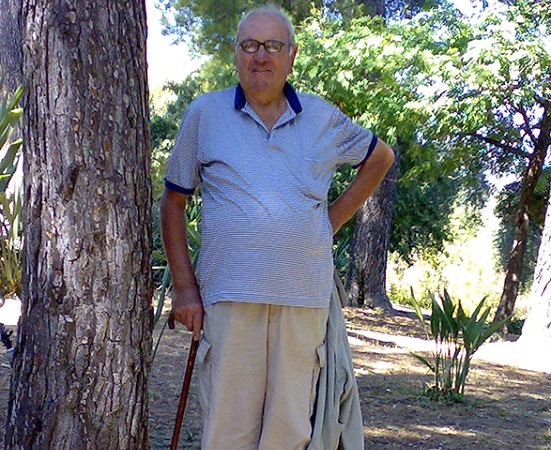 Due to his foresight and intuition, Carlo understood the importance that the nebbiolo variety would have, initially for Piedmontese winemaking, then on an international scale. It was in the early 1950s that the first vintages of Barolo and Barbaresco were bottled, wines that are still at the top of our range and make Grimaldi a historical reality for these appellations. In 1967 the new winery was built in Groppone, which is still the headquarters of our wine company. Groppone - from Piedmontese grupun - is a long range of hills surrounded by vineyards which form part of the Sorì del Montagrillo, from which we make the Dolcetto di Diano d’Alba Docg of the same name. It was during those years that new vines were planted, especially of dolcetto and barbera, and negotiations began to acquire new plots in the most prestigious areas of the Langhe and Roero. 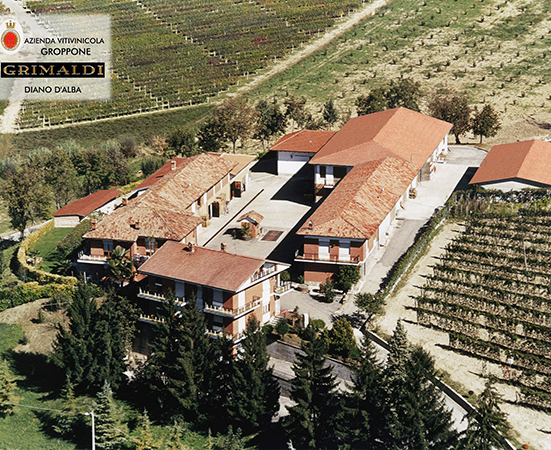 Between the 1970s and 1980s, the Grimaldis acquired Barolo nebbiolo vineyards in the municipality of Roddi, cru Bricco Ambrogio, at Diano d’Alba, in the Sorano cru, and also planted the Bricco San Biagio vineyard at La Morra. 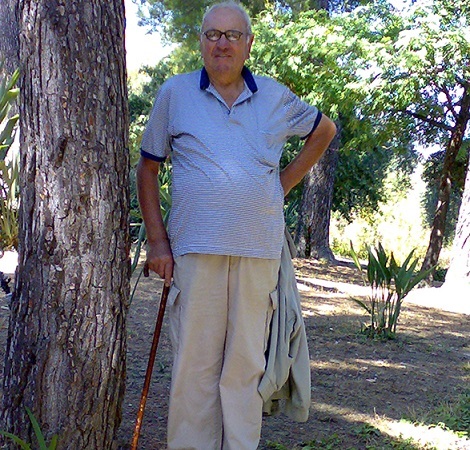 Between the 1980s and 1990s, Luigino Grimaldi, Giuseppe’s grandson, began work at the company. Grimaldi wines began to be exported, first to Germany, England, Holland, Switzerland, Austria, Belgium. Then to Denmark, Eastern Europe and Scandinavia. Finally to North America and, more recently, to China and other Asian countries. 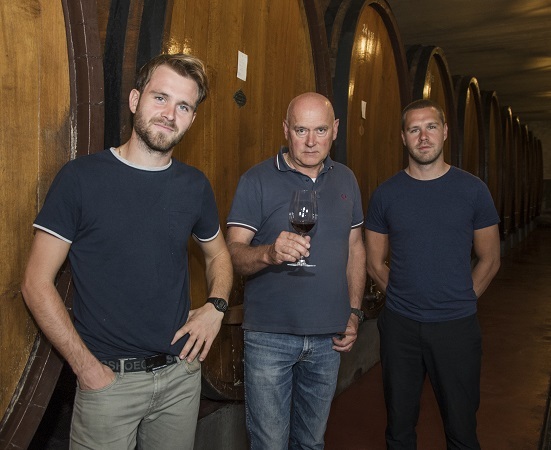 Luigino and his father continue to raise the quality of the wines, modernising the production technology and continuing to widen the range of new vines in the area of Barbaresco, at Treiso, in the excellent Manzolà cru. During the 21st century, acquisitions of vineyards have continued, in order to broaden the range of wines produced. Plots were purchased at Vezzi d’Alba, particularly suited for the production of Roero Arneis, the great whte wine from the “left bank of the Tanaro”; and a splendid vineyard of over 4 hectares at Sinio, a single plot planted with nebbiolo, barbera and dolcetto. 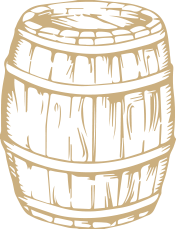 In 2013, Elias, Luigino’s son, entered the company, focussing on matters relating to agronomy and the work in the vineyards. He is the fourth generation of the Grimaldis, to whom will fall the task of continuing a century of winemaking tradition in one of the world’s most prestigious areas for the production of wine.